We start classes this week, a bit later than most other folks thanks to our January term. That means the long-awaited MATLAB course will be formally kicking off. I’ve had a few people ask me about what we’re doing in this course, so here’s an update. This has been a tricky course to plan, because the audience is definitely not the usual one for an introductory MATLAB course. Almost all the introductory textbooks and materials I reviewed for the course, and all the introductory MATLAB courses I looked at from other schools, have a particular student demographic in mind: they are all engineering majors; they are all freshmen or sophomores with either a semester of programming under their belts or at least a very high level of comfort with computers and the “guts” of programming; and they are all attending large universities in which the particular academic makeup of the institution plays little to no role in how the class is designed. 5 are Education majors; 3 of those are secondary education majors, the other 2 elementary education majors. There is one lone Pure Mathematics major. 9 have no declared major at all. Of the 9 undeclareds, two of those are students who are pursuing our dual-degree program in Engineering and just haven’t gotten around to filling out the paperwork yet. But that’s it: Two undocumented engineering majors; NO science majors. The plurality are Education majors, and once the undeclareds get around to declaring, this may become the majority. I don’t have data for this, but I am pretty sure less than half of the students have ever had any exposure to programming whatsoever. I wouldn’t be surprised to find out it’s more like 1/5 of the class with no programming experience. So this is not the audience that is “supposed” to be taking a MATLAB course. They are not (for the most part) scientists and engineers, and if you start throwing the details of fprintf, memory addressing, floating point arithmetic, and so forth to them you will likely lose them. And yet — and this has been the frustrating thing — almost all introductory MATLAB materials assume students are engineers and scientists who have no problem being thrown directly into learning about fprintf, memory addressing, and floating point arithmetic. I won’t name names or authors, and these are not bad books, but they are written with a particular assumption in mind about who is using them. And that assumption does not work for my class. Therefore I have had to do a lot of remixing and retrofitting of existing materials in order to deliver what I think is a solid intro MATLAB course, one that I honestly think satisfies the same learning objectives as the course at our partner university (which uses one of those books I mentioned above, and it works for them because they have the “right” audience for those books), but also one that really works for the decidedly non-MATLAB-like group of students I will have. Get students comfortable with the software and how it works before throwing them into programming. But: Don’t wait too long to begin programming. Connect use of the software back to the mathematics courses they know: namely Calculus I and Calculus II. (The course is a prerequisite for Calculus III and is usually taken alongside Calc II.) And take it very easy on any other kind of math in the course. Get them doing plots and working with data from Excel files early and often. Pictures and data: Students dig these. Make heavy use of the Symbolic Toolbox and get them using it early as well. And by “Symbolic Toolbox” I really mean MuPad, not the nearly-indecipherable symbolic manipulation done inside the MATLAB command line by calling the Symbolic Toolbox. This is actually quite different than how most intro MATLAB materials do it; if you see the Symbolic Toolbox at all, it’s the last chapter of the book and MuPad is never mentioned. Take it easy on the science content of the course and instead emphasize use of MATLAB on topics with which the majority of the class is familiar and comfortable. In the canonical audience, that would mean precisely that a lot of science ought to show up. For us, not so much. Have fun first, foremost, and throughout. Remember that many of the students in the course are not only unfamiliar with computers (aside from using them to check Facebook or use a word processor) but are actually scared of them — probably a greater portion of the class than will let on to it. Keep it light. If something looks more confusing than useful, it probably is; and unless there’s some compelling reason to hack through it, just drop it and cover something else. I think that with these principles in mind, a lot of MATLAB purists would look at my course and sniff at it, thinking it’s not a “real” MATLAB course. It certainly will not walk or talk like the MATLAB course you’ll find at the typical Big Engineering School. But we’re not a big engineering school; we’re a liberal arts college, and the Liberal Arts informs what we do in every course, including a MATLAB course. I guess I am not trying to create a course that in turn creates more MATLAB purists. I am trying to create a course that shows students that programming is a great application and instantiation of critical thinking and problem solving. If they don’t know all the command line options to fprintf, but later on when confronted with a problem they first thing they think is to try out some MATLAB code to solve it, I think we’ve had a successful experience. That’s an overview of the philosophy and design of the course. In another post, I’ll talk about the course schedule, assessments, and plans for what we’ll do in the class. This gets interesting because, as mentioned above, we’re not really using a book but rather just McGyvering a bunch of pre-existing resources to fit our particular needs. In the second semester of my graduate school intro abstract algebra class, my prof gave us an assignment to write a computer program to calculate information about certain kinds of rings. This was a small assignment in a class full of big ideas, but I had to go back and re-learn my Pascal in order to write the program, and the idea of writing computer programs to do algebra was a great “extra” that again has stuck with me. Today I really like to build in an “extra”, usually having something to do with technology, into every course I teach. In calculus, my students learn Winplot, Excel, and Wolfram|Alpha as part of the course. In linear algebra this year I am introducing just enough MATLAB to be dangerous. I use Geometers Sketchpad in my upper-level geometry class, and one former student became so enamored with the software that he started using it for everything, and is now considered the go-to technology person in the school where he teaches. In an independent study I am doing with one of my students on finite fields, I’m having him learn SAGE and do some programming with it. These “extras” often provide an element of fun and applicability to the material, which might be considered dry or monotonous if it’s the only thing you do in the class. What kinds of “extras” were standouts for you in your coursework? If you’re a teacher, what kinds of “extras” are you using, or would you like to use, in your classes? The upcoming academic year will contain a number of new projects for me that are going to be quite exciting. I’ve twittered about one of these projects recently, and each time I do so, I get replies from folks wanting to know more, so I’m now shifting discussion of this to the blog. The project: Designing and teaching a one-hour course on the computer software MATLAB for a general mathematical audience. This course, titled “Computer Tools for Problem Solving”, is going to begin in Spring 2010. It will be a one-hour lab-oriented course to be taken corequisite with Calculus II. Every student who takes Calculus II will be expected also to take the MATLAB course. Why are we doing this? Three reasons. To speed up our 3:2 engineering program. Under this program, students go to my college for 3 years to take foundational math and science courses along with liberal arts courses; then transfer to our partner university to take in-depth engineering courses for 2 years. Then they graduate with a BA from us in chemistry or applied math, and with a BS from the university in engineering. One of the foundation courses in the engineering program at the university is a one-hour MATLAB course; this course was designed from the start to be one which would replace the course at the university. By taking it at our college instead of at the university, the students’ five-year schedule is lightened considerably. To get students using computers to solve problems early and often, especially using programming. Our alumni and industry contacts are constantly telling us that technological skill, especially programming skill, is essential for the jobs they are doing, even if they aren’t employed as programmers. Our department has always been pretty good at introducing and using computer algebra systems such as Maple in our classes, and lately we’ve been pretty taken with spreadsheets. What’s been lacking is a coherent use of programming to solve problems. Our majors have to take a semester of C++, but we have not required any programming in our math courses, and so there’s no requirement or incentive for students to use what they learn in C++. Actually it’s possible to put off that C++ class until the last year, and many students do so. To be honest, we can’t blame them, because C++ is much too complicated for what we intend. 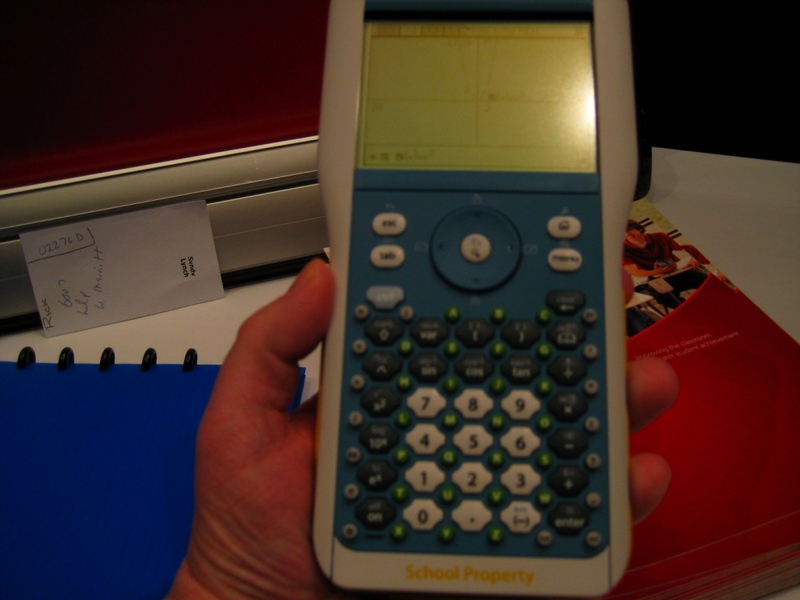 We don’t expect students to develop a complete, bug-free end-user application when asked to solve a mathematical problem with programming; we just want them to be able to take a programming environment and come up with a quick, dirty, but usable tool to answer a question or make an observation. We think having MATLAB around and training students on it will provide the right kind of programming environment for the sorts of programming we want them to do. To develop a platform for “programming across the curriculum”. Tying in to the reason above, we envision changing our post-calculus courses over time to include significant programming assignments that involve MATLAB. 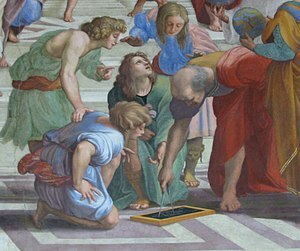 Further down the road, we will be retooling many of our post-freshman courses — Calculus III, Linear Algebra (especially), Differential Equations, and so on — to involve significant amounts of scientific computing and programming in them, and MATLAB will be the primary platform for all programming and non-symbolic work. And therefore the MATLAB course will be a centralized gateway for training in the software. The course is approved and on the books for Spring 2010. One of the things that’s a little scary is that I myself am a MATLAB neophyte. I attended a Mathworks-sponsored MATLAB Fundamentals workshop this past March, and I’ve been working on teaching myself the software this summer. But part of the process of teaching the course is learning the software myself, which is fun and hard at the same time. I hope the students in the course have the same viewpoint once they are learning MATLAB as well. I’ll be continuing to blog about the development of this course and MATLAB-related thoughts as we approach the “launch” of the course in February. As always, leave questions and reactions in the comments and I’ll get to them in future posts. It was a full day yesterday here at the ICTCM, and the day was capped off with a very enjoyable dinner with Maria Andersen and Scott Franklin, along with two of Maria’s friends who (if I understood Maria right) are soon-to-be math bloggers. I have photos and a video forthcoming. 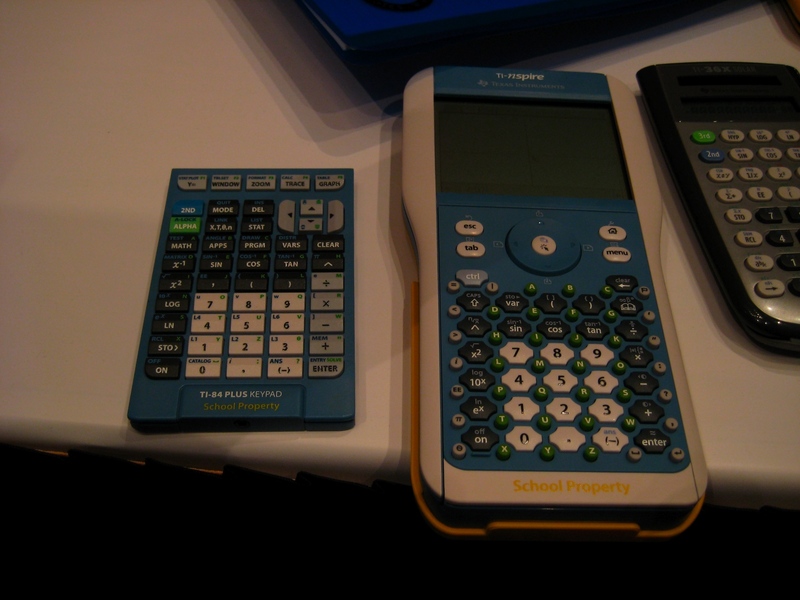 8:00-8:45: Session on handheld calculating devices over the last 30 years and how they have changed teaching. Very interested in this talk; I’ll have more to say about some of the handheld technology I’m seeing here. 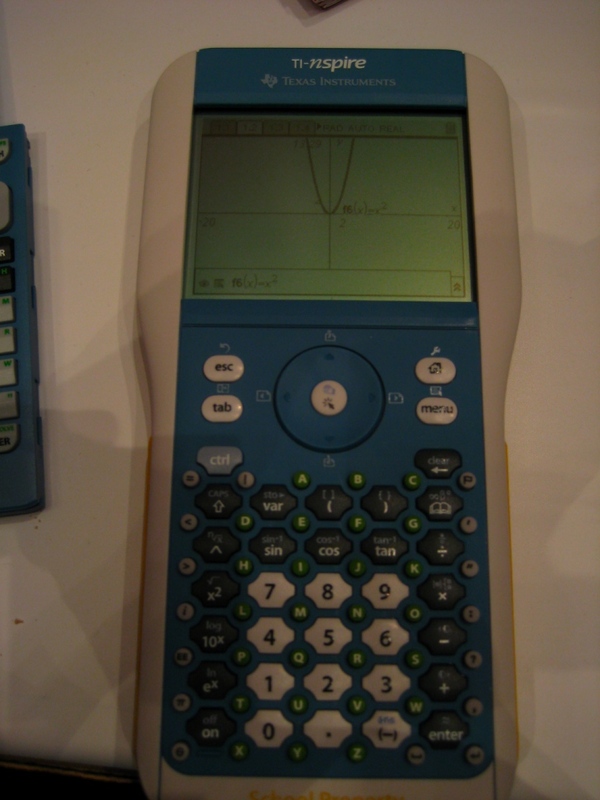 9:00-9:45: Session on using Maple 11 in the advanced calculus and modern algebra classroom. 11:30-12:05: Session on labs in mathematics classes. 12:30-1:15: Session on using Geometers Sketchpad alongside computer algebra systems. 3:30-4:15: Session on blogging with concept maps. Two of my favorite things put together, so this ought to be fun. 4:30-5:15: Haven’t made up my mind yet — either a session on CaluMath or a session on using Geometers Sketchpad in calculus courses. Unfortunately the internet access I am paying $10 a day for isn’t wireless — or at least, there is wireless but yesterday it didn’t play nice with me. So I won’t be blogging continuously. Which is probably a good thing because I need to pay attention at these sessions. Speaking of which, it’s time to head down to the first one.